Experience the beautiful and charismatic Orkney archipelago. 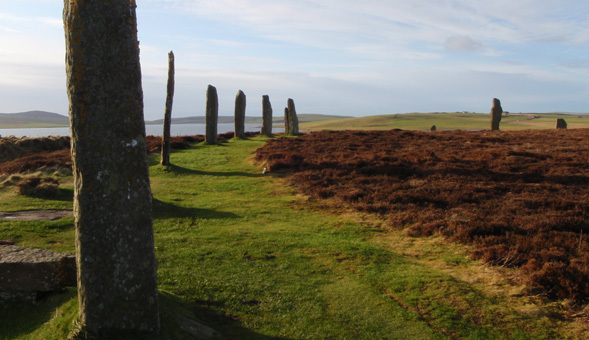 Highlights of the holiday include the archaeological sites Ring of Brodgar; the Neolithic chambered tomb of Maes Howe - complete with Viking graffiti and Skara Brae, the finest Stone Age village in Europe. Other sites visited include Bronze Age barrows, Pictish brochs and Viking settlements. Orkney has an unhurried pace of life which is highly seductive and walking is a great way to see the Orkney isles natural beauty and discover Orkney folklore. Most of the walking is along grassy footpaths above the sea with occasional descents to wide, sweeping beaches. One of the walks is on Hoy, the wildest and highest of the islands; to view the famous sea-stack, the Old Man of Hoy. Orkney was colonised by Vikings in the 9th century creating a base from which to launch raids on the Hebrides and Ireland’s monasteries. However, in the 10th century, Earl Thorfinn the Mighty, built a cathedral and palace at Birsay. Setting off from Birsay, we walk to Marwick Head where the Kitchener Memorial towers above the ocean. Another of our walks is along the dramatic west coast of Westray to visit the lonely lighthouse of Noup Head and the ruin of Noltland Castle, built in 1560. 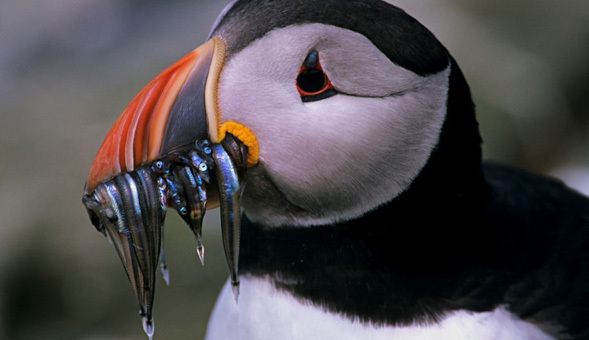 Alongside the views and world famous historical sites, Orkney hosts an incredible array of wild flowers and birdlife, including puffins, short-eared owls and hen harriers. The abundance of seascapes also affords the chance to see otter, seals, dolphins and even whales whilst on land you may spot the Orkney vole or a mountain hare. Meeting in Inverness Rail Station at 14.30. Drive along the Northeast coast of the Highlands to Scrabster where our ferry sails across the Pentland Firth to Stromness, transfer to hotel in Kirkwall. Exploring the peninsula of Deerness, the easternmost part of the Mainland, we’ll walk to the Convenanters' Memorial and stroll along the coast around Mull Head. Our walk continues on to the Brough of Deerness and The Gloup, an impressive collapsed sea cave that produces strange gurgling noises! Returning back to Kirkwall, we can stop at the Dingieshowie loos and visit the beautiful Italian Chapel. Afterwards in Kirkwall you have time to visit the Cathedral & Tankerness House, home of the Orkney Museum. Weather permitting, we take the ferry to Westray in the far northwest, a fantastic voyage out along the old Viking sea route called the Swan's Path. On Westray you will visit the sandstone ruin of Noltland Castle built around 1560 for Mary Queen of Scots. Our walk is to the lonely lighthouse of Noup Head, second only to St Kilda in numbers of breeding seabirds. The open ground above the cliffs offers superb views and is beautifully carpeted with yellow, white and purple flowers. From here we walk south along the west coast of Westray. This morning we’ll explore the 5000-year-old Skara Brae, one of the best-preserved Neolithic villages in Europe. Afterwards is the long, but easy and enjoyable walk south, following the coast and passing Yesnaby fort and North Gaulton castle enroute to Stromness. Along the way look out for the Primula Scotia (Scottish Primrose), Orkney's most famous flowering plant. At the end of our walk spend some time in the pretty town of Stromness before returning to Kirkwall. Today we take the ferry to the island of Hoy, the most dramatic of Orkney’s islands with mountainous land rising to 1570 feet. Our walk takes in dramatic views of the 450’ high sea-stack, the Old Man of Hoy. 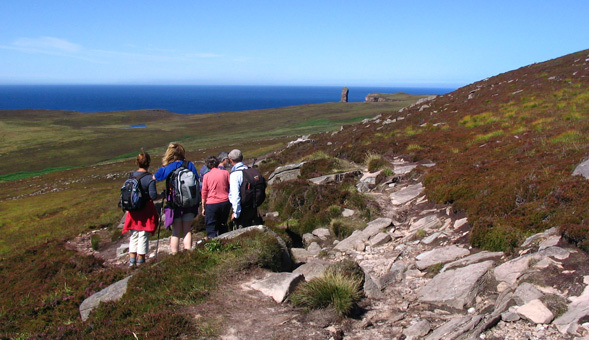 From here we have several excellent walking options northwards or southwards, depending on group fitness and interest. The last walking day is a varied day around Birsay Bay in the northwest Mainland. Our walk is to the Kitchener Memorial, a huge tower raised by the people from Orkney, on Marwick Head. Stroll along the lovely beach and visit the ruins of Earl’s Palace built in the second half of the sixteenth century. The day ends with a visit to the famous stone circle, the Ring of Brodgar, and on to Maes Howe. Transfer from Kirkwall to Stromness ferry terminal (11am departure). From Scrabster we will drive south to Inverness. Arrival time approx.15.30. If you fly back from Kirkwall you will have to make your own way – by taxi or bus – to the airport. During this departure we stay at the comfortable 3-star Orkney Hotel. You can be sure of traditional Orcadian hospitality in the heart of the ancient royal burgh of Kirkwall. Dating back to 1670, the hotel has been sympathetically renovated, retaining many of its original features and its charm. We stay at the 4-star Lynnfield Hotel - arguably the best hotel in Orkney. This small country house hotel is privately owned and you can be sure of traditional Orcadian hospitality. The hotel is located on the outskirts of the ancient Royal Burgh of Kirkwall and offers individually decorated rooms and a relaxed stay. The hotel restaurant provides exceptional food using the finest local produce. We love it! "Outstanding! 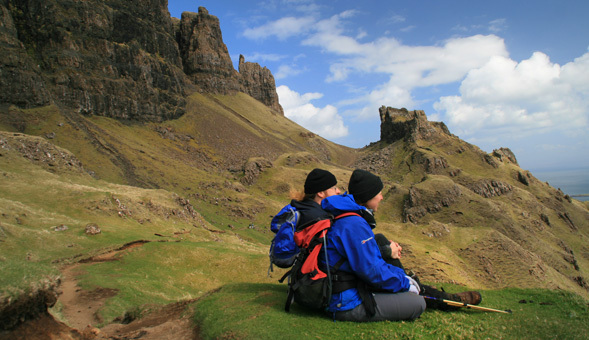 Orkney is a wonderful place and your tour did an excellent job of presenting it to us." "Well organised and professionally conducted. 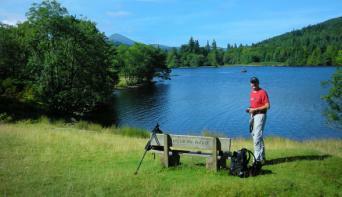 Excellent itinerary of varied activities - good mix of walking and archaeology." "Very comprehesive and interesting holiday that exceeded my expectations." "Very enjoyable. Active with full itinerary. Good overview of the wildlife, archaeology and land- sea scapes."